When I first posted this, I very tentatively identified it as a male four spot orb weaver spider (araneus quadratus) (maybe). 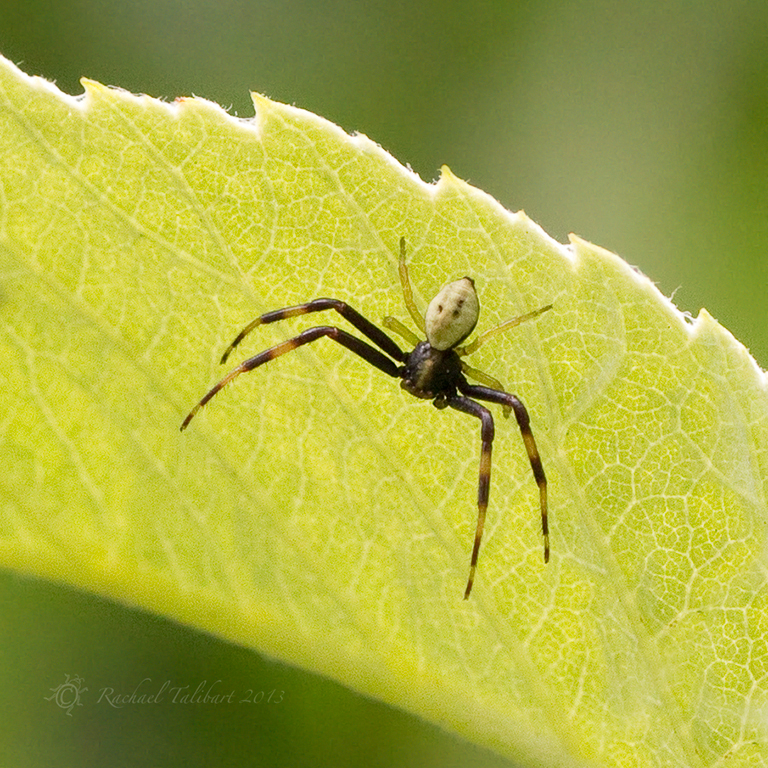 Or possibly a marbled orb weaver ( araneus marmoreus var. pyramidatus). I hadn’t found the I.D. especially easy, and asked if anyone knew better, for them to please tell me! Thanks to two very assured comments below, I have now changed the I.D. to an adult male crab spider (misumena vatia). Thank you both. 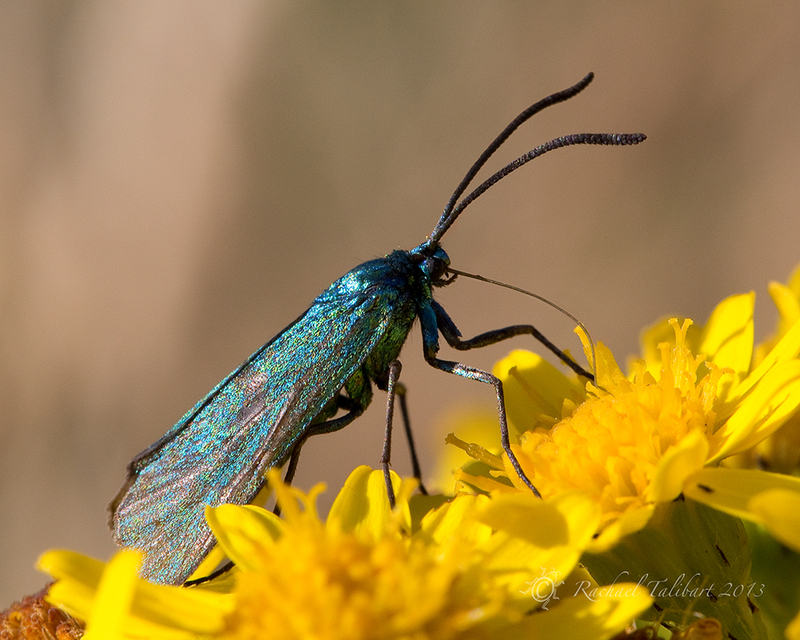 I should perhaps give up trying to identify the bugs I find in my garden as my success rate is woefully low. 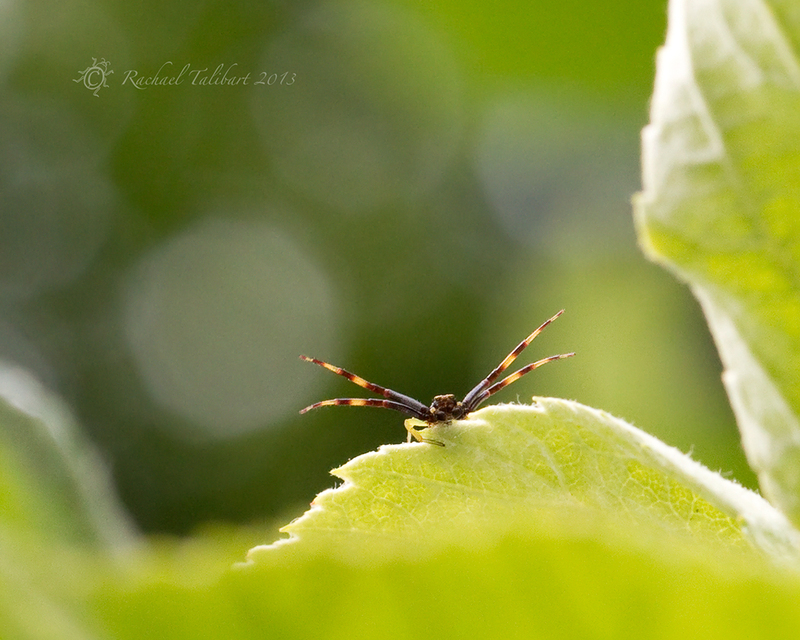 Anyway, this tiny crab spider was photographed peering over a leaf in a tree rather high up and I was using my macro lens when I spotted it, so these are big crops. A characterful little thing. Of the many photographs I took at La Corbiere, on Jersey, this summer, this is probably my favourite. I can’t begin to convey adequately how it felt to be there listening to the waves and waiting for the light. When the sun peeked through the clouds just before dipping below the horizon, it was glorious. 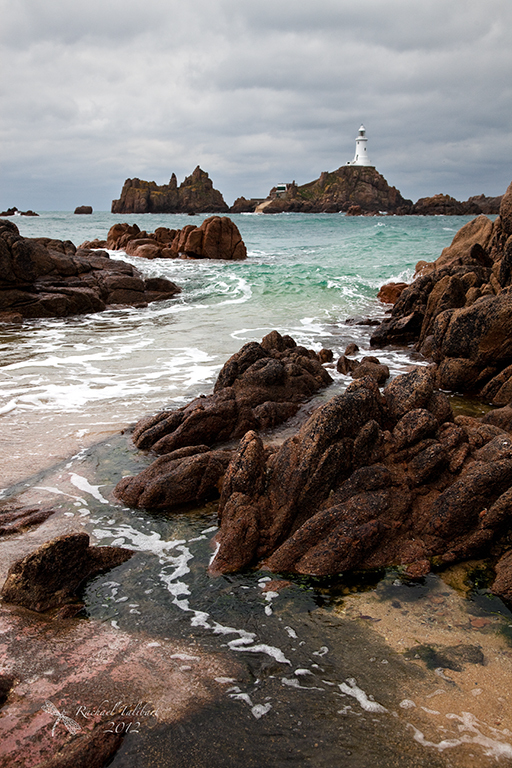 Another shot of my lighthouse muse, La Corbière on Jersey in the Channel Islands. Better compositions are to be had on the rocks below but high tides coincided with sunset during my recent trip so I had to make do with a higher vantage point. The long exposure time needed for the low light has softened and muted the waves. You will just have to take my word for it that they were crashing onto the rocks below and I would have been inundated had I stayed down there. On the upside, I enjoyed seeing how different the same composition could look at the same time on successive days. 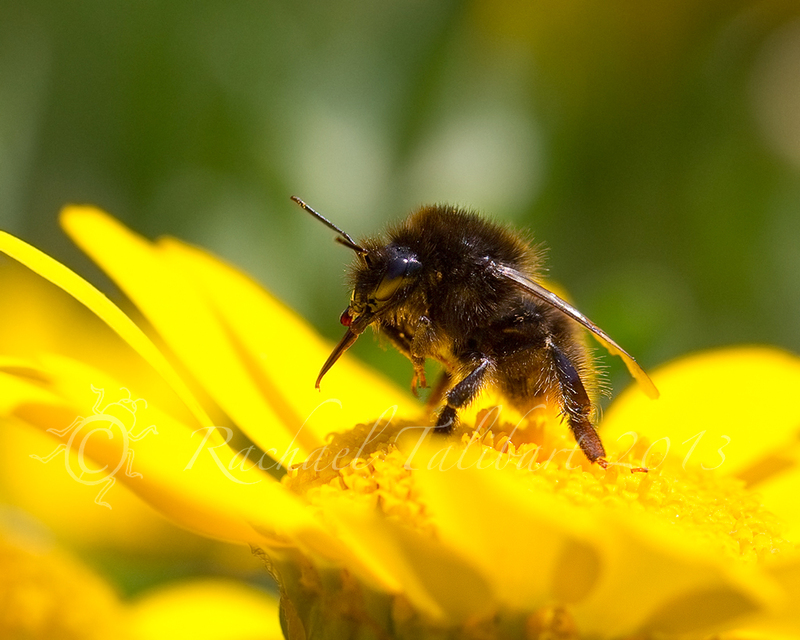 Is this bee expressing its views on the macro paparazzi, or just proud of its tongue? 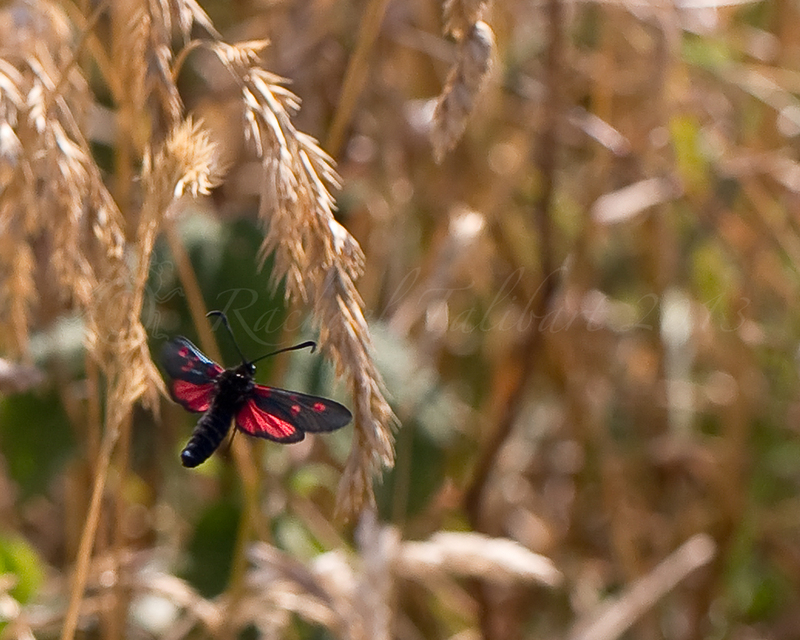 Taken this summer at the Seigneurie Gardens on Sark, in the Channel Islands. Golden light at La Corbiere, Jersey. Most photographers I know are always developing their art, changing and adapting to new subjects and new moods. They also tend to change in the way they see images, and this feeds into new images they make. When aesthetic changes are experienced by a large enough number of image-makers, they become fashion. Thus, a couple of years ago, in landscape work, so-called High Dynamic Range, or HDR, images were all the rage. Done subtly, HDR simply means properly exposing an image so you have detail in the shadows and the highlights, something that with few exceptions has always been a minimum standard for landscape work. The trouble with the HDR fashion as it emerged towards the end of the last decade was that the effect was exaggerated until the image came to look surreal. For me, many HDR images started to be about displaying the technique rather than the landscape as it was revealed by the light prevailing when the image was taken. Yet it is easy to see how this happened. The power of photoshop, and HDR plug-ins like Photomatix, is seductive. It is so easy to keep on editing, always seeking more impact, way beyond the point when perhaps, in the cold light of the next day, one should have stopped. I have done this myself, egged on by sites like Flickr and 500px where the ‘success’ of an image depends on its being immediately striking rather than any lasting appeal. Of late, however, I find myself seeking a more subdued aesthetic, one that I hope is truer to the moment as I experienced it when I took the image in the first place. These images of my lighthouse muse, La Corbière, are the case in point; simple, minimally-edited captures of brief moments when the light seemed to connect with the landscape in a way that pleased my eye. They are not clever and they will not win any awards but I begin to find myself more satisfied with this sort of image than any other. Of course, as with any fashion, there eventually has to be a backlash, and the HDR pendulum seems to be swinging back the other way. So, perhaps in my love of the understated I am just another victim of fashion’s vagaries… Has your approach to image-making, or image-appreciation, changed recently? I would love to hear your thoughts. 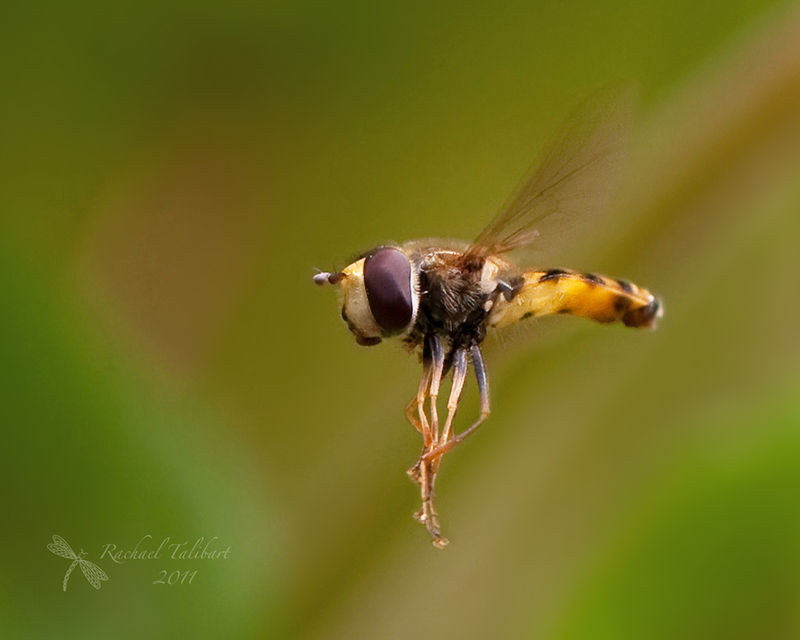 One of the most common hover flies in my garden is episyrphus balteatus. I am fairly confident about my identification in four of these shots. Less so in the one below. I believe episyrphus balteatus is one of the flies also known by the common name, marmalade fly. Obviously, this is because of its colour and not because it has a penchant for preserves!. 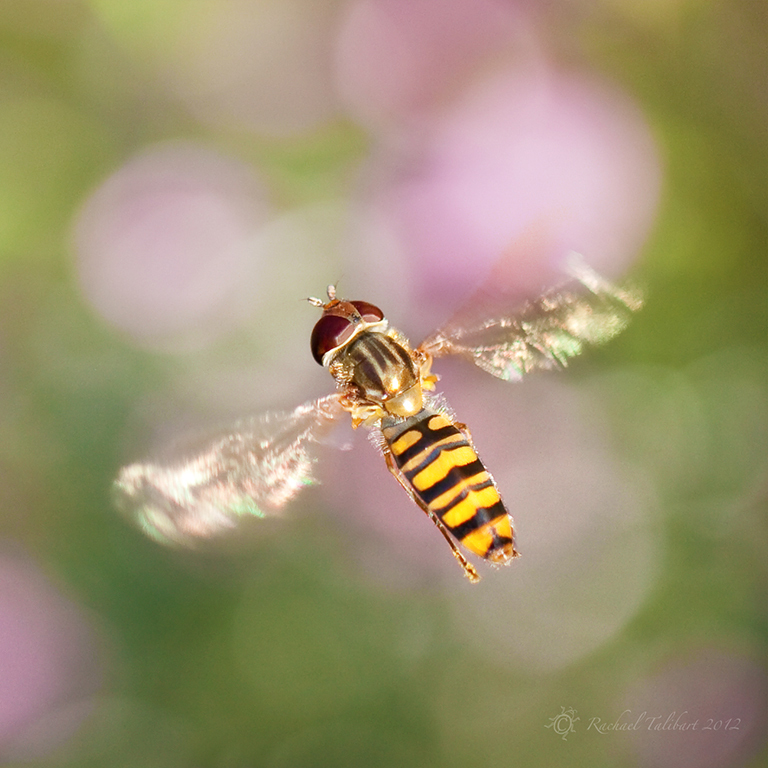 I think hover flies are a delightful addition to the garden. 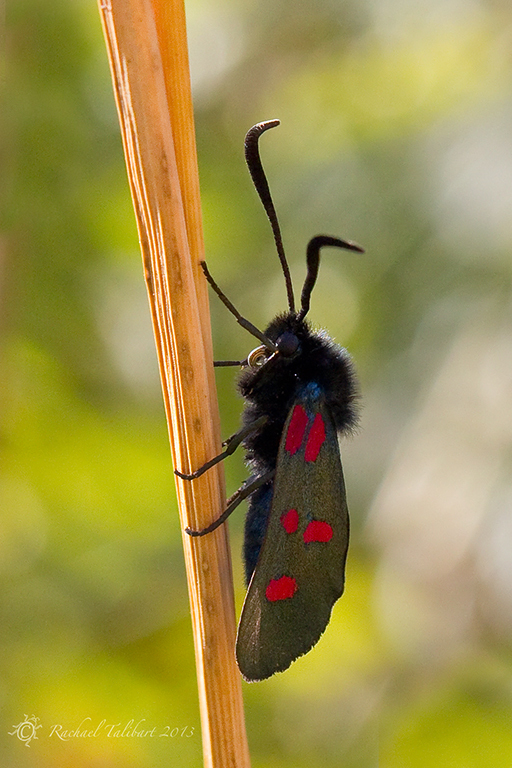 The adults feed entirely on nectar but the larvae are voracious predators of aphids, which makes them jolly useful! 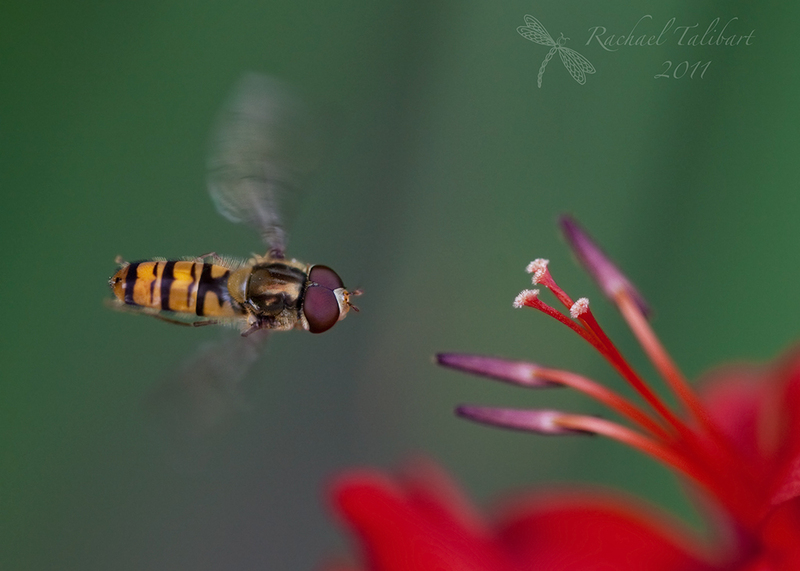 Episyrphus balteatus is also one of the best hover fly hoverers, making it a relatively easy target for the photographer. 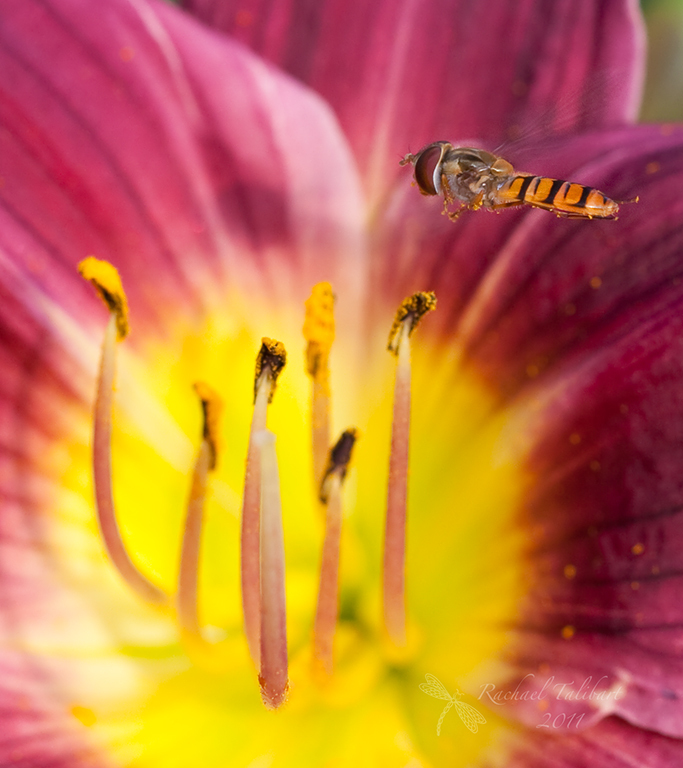 Hover flies disguise themselves as bees or wasps as a defensive mechanism. Unfortunately, they are so good at this that many people assume they are bees or wasps and, if they think the latter, they tend to swat them. What a shame. 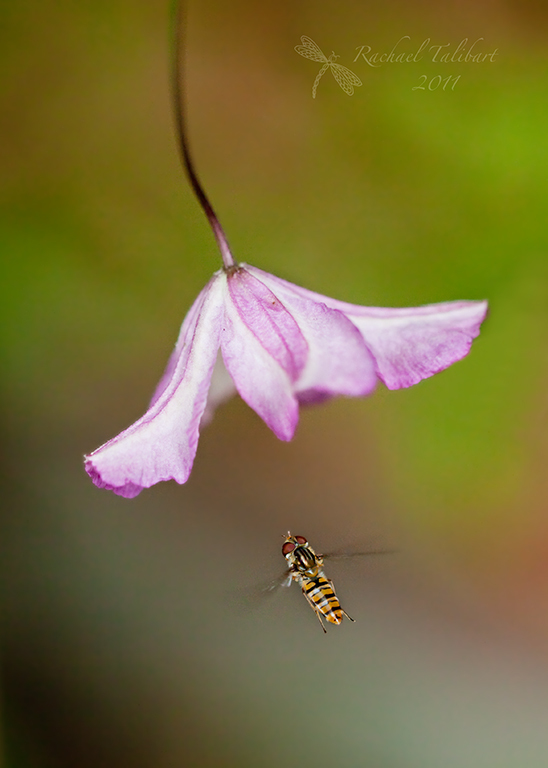 Hover flies have no sting and no downside for humans. They aren’t even interested in our food.